The iSeries Collection of mattresses from Serta with three futuristic technologies is a must buy for that much need uninterrupted sleep. Serta, America’s No 1 Mattress brand with 80 years of experience in manufacturing some of the world’s most luxurious mattresses has launched their iSeries mattresses in India. The iSeries collection is manufactured by merging together three unique and futuristic technologies — Posture Spiral Spring Technology (PSST), Visco Foam Technology and Mega Foam Technology (also known as Green Technology). PSST is a revolution in spring mattress technology as they have no knots, sharp edges or loose ends to penetrate the padding layers, which therefore conforms one’s body shape providing utmost comfort, and durability to the mattress. The cool action gel-infused Visco Foam Technology is designed to feel like traditional memory foam, but with superiority quality. The micro support gel creates an extremely comfortable and cooler sleep surface and provides advance pressure relief. Finally, Mega Foam Technology is an advanced German technology for manufacturing foam which employs environment-friendly manufacturing methods. The foam manufactured with this technology has an open cell structure that facilitates proper air circulation and minimizes heat formation on the surface. The collection come in three grades — Chronicle (Rs. 98,297), Bon Vivant (Rs. 1,13,862) and Optimus (Rs. 93,130). 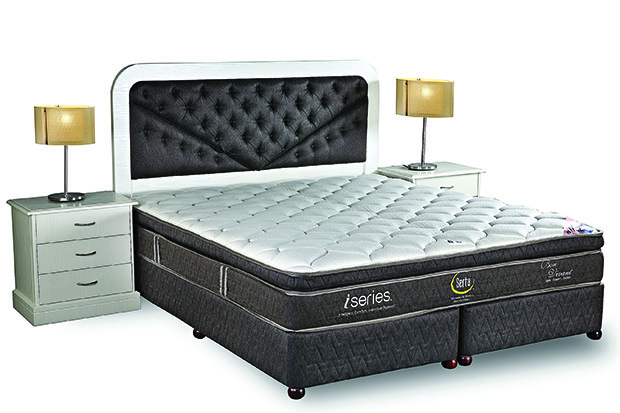 The iSeries range from Serta is available in India at Serta company showroom in Bangalore, and at franchisee outlets; Decor World in Hyderabad and Just Home in Gurgoan. Serta is brought to India by Emirates Sleep Systems Pvt Ltd (ESPL). ESPL has acquired license from Serta Inc USA for manufacturing and marketing Serta branded mattresses and bedding accessories in India.